The region of the Araucanía in Chile produces more than 60% of the country’s cereal crops, 90% of the country’s legumes and, in the past, about 90% of the industrial oil crops. Crop yield is an important factor for the development of the agricultural industry and farmers invest extra revenues in logistics and process optimization. Any reuse of agricultural and forestry waste biomass can add value to the process—thus, researchers are investigating the production of biochar from this waste. 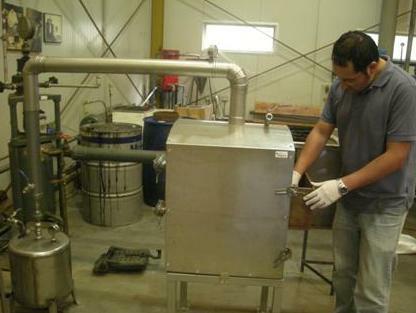 A project being carried out by the Scientific and Technological Bioresource Nucleus and the Department of Chemical Engineering of Universidad de La Frontera in Temuco, Chile, is looking to determine the best operational conditions for the development of controlled-release nitrogen fertilizers using biochar as a basis and studying the main effects of variables and interactions involved in the process. Nitrogen is highlighted in the studies due to the increasingly excessive application of nitrogen fertilizers over the past few decades in Chilean agriculture—currently, an average of 60 kg ha-1 of nitrogen per year is applied to arable soils. Much of nitrogen applied is lost through leaching; the amount of leaching depends on the soil type, climatic conditions, and on the agronomic management. The overall goal of this project is to produce biochar from agricultural and forestry biomass, and to test it in soil. This biochar will be used in the manufacture of a controlled-release nitrogen fertilizer involving polymeric coatings to control the nitrogen release. These biochar-based products will be tested and compared in field experiments. The project uses a semi-bench scale unit (purchased for this work) which can produce approximately 2 kg of biochar per batch. The heating rate and maximum treatment temperatures can be controlled. 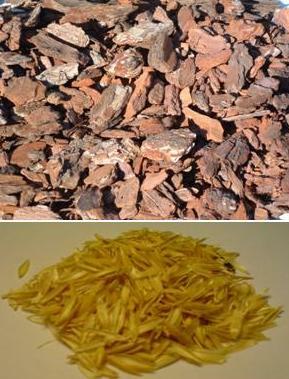 The two main feedstocks are pine bark and oat hulls. Once biochar is produced, the researchers determine the physico-chemical characteristics of the material and the optimal dose for its application in soils. Both biomass feedstocks and the resulting biochar are chemically and physically characterized. These data are used to study the major cause and effect relationships between pyrolysis conditions (mainly temperature and feedstock type) and biochar properties. Biochar with contrasting characteristics is then used in pot trials, using ryegrass as a test plant. The soil is a local soil of volcanic origin with acidic pH (<5.5), and with high levels of aluminum saturation. Ryegrass is an important livestock forage plant in the region. After three cuts of the crop, yield and soil properties are analyzed. Similar trials were also implemented in the field on the same soils, on experimental plots where intensive crop rotations are planted. Application rates of 5, 10 and 20 t/ha are being tested at this time. After the field trials are complete, the team will move toward developing and formulating a controlled-release nitrogen eco-fertilizer. They plan on conducting batch experiments with urea and biochar encapsulated, mixed, and/or pelletized to produce a controlled-release fertilizer. The nitrogen release will be monitored in water and soil columns. Trials using these new products will also be carried out in experimental field plots in the Araucanía region. The researchers are also evaluating the possible use of pyrolysis by-products as alternative fuels—and will analyze the properties of syngas and bio-oils produced during pyrolysis. The project is based in Temuco, located 670 km south of Santiago de Chile, the country’s capital. It is supported by the government of Chile (CONICYT-Chile, through FONDEF Project Nº: D07I1096) and the following commercial entities: Comercial Agrofusión S.A., Soquimich Comercial S.A., Sociedad Forestal Santa Elena Ltda. and Eugene Thiers. The goal of the funding program is to conduct research which is aimed at developing technological solutions that can rapidly be incorporated into productive sectors of the economy. González M. E; González A.; Toro C.; Cea M.; Diez M. C.; Navia R.
Loading the biochar unit; all photos courtesy of Claudio Toro. Woodchips and Oathulls used as a feedstock in Chile.